NEVADA CITY, Calif. August 4, 2018 – Reports of ash falling started coming in late last night with locations as varied as Meadow Vista, Yuba City, Georgetown and Paradise reporting fine ash falling. The ash fall continues today, fueled by the extreme fire behavior of the Mendocino Complex. The Ranch Fire is now up to 156,678 acres and 27% contained. The River Fire grew to 44,793 acres and is 50% contained. Drift smoke and ash will continue throughout the day. 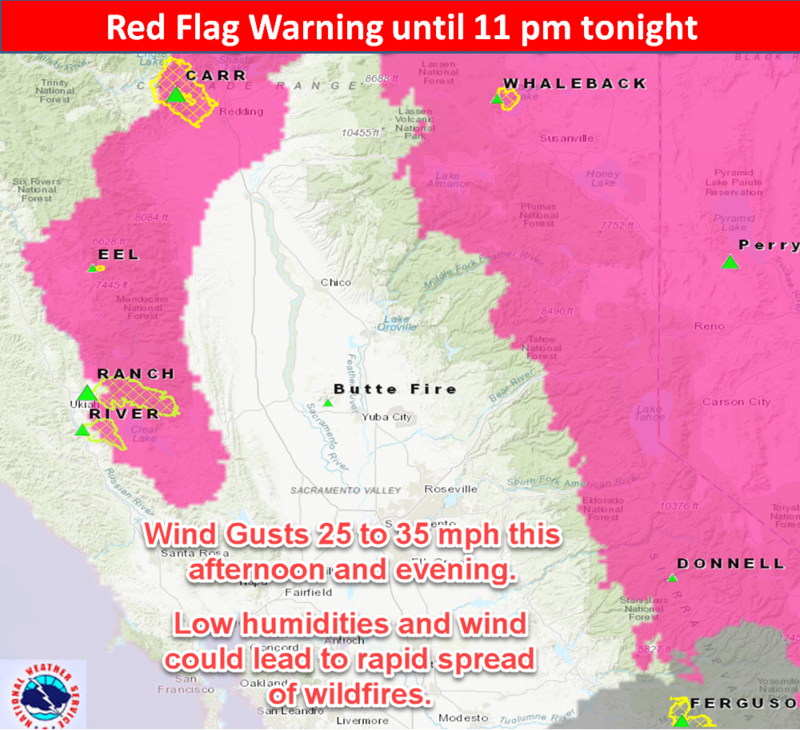 There will be enhanced terrain-driven winds in western Shasta County & over the Coastal Range impacting the Carr fire and Mendocino complex this afternoon and evening, according to the National Weather Service update. A Red Flag Warning is in effect for elevations above 3,000 ft in the Foothills and the Sierra. The coastal areas also are under the same warning with winds likely fueling extreme fire growth today both on the Ranch and the River fires. Please limit your outdoor activities and do not overexert yourself or your pets. We also had fine ash here at Ananda Village – about 5 miles from North San Juan.